It is a fact that many people are scared to fly. It is an inbuilt fear that many of them have as a result of seeing coverage of various plane crashes through the years rather than an actual fear of being in the air and being powerless to control the motion. 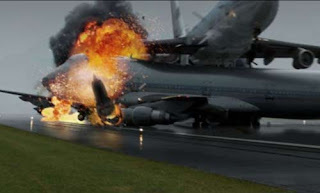 Airplane crashes certainly are daunting things even if the chances of a plane crash taking your life are extremely slim. This is largely because the accounts given are daunting and only the worst crashes actually make waves in the news. However, if you have heard of all of the airplane crashes below then it really is no wonder why you may want to take out life insurance before flying. They truly are the worst of the worst and, unfortunately, are all but one are caused by human error or deliberation rather than an unfortunate mechanical accident. I guarantee that you’d have heard of at least one. 1. March 27, 1977. Two Boeing 747s, operated by KLM and Pan Am, collide on a foggy runway at Tenerife, in Spain’s Canary Islands killing 583 people. The KLM jet departed without permission and struck the Pan Am jet as it taxied along the same runway. Confusion over instructions and a blockage of radio transmissions contributed to the crash. 2. August 12, 1985. A Japan Air Lines 747 crashes near Mt. Fuji after takeoff from Tokyo on a domestic flight killing 520. The rupture of an aft bulkhead, which had undergone faulty repairs following a mishap seven years earlier, caused destruction of part of the airplane’s tail and rendered the jet uncontrollable. A JAL maintenance supervisor later committed suicide, while the president of the airline resigned, accepting full, formal responsibility for the crash and visiting victims’ families to offer a personal apology. 3. November 12, 1996. An Ilyushin IL-76 cargo plane from Kazakhstan collides in midair with a Saudia 747 near Delhi; all 349 aboard both planes are killed. The Kazakh crew had disobeyed instructions, and neither airplane was equipped with collision-avoidance technology. 4. March 3, 1974. In one of the most notorious and gruesome crashes ever, a THY (Turkish Airlines) DC-10 crashes near Orly airport killing all 346 passengers and crew. A poorly designed cargo door had burst from its latches, and the subsequent depressurization caused failure of the cabin floor and impairment of cables to the rudders and elevators. Out of control, the plane slammed into the woods northeast of Paris. McDonnell Douglas, maker of the DC-10, which would see even more controversy later, was forced to redesign its cargo door system. 5. June 23, 1985. A bomb planted by a Sikh extremist blows up an Air India 747 enroute between Toronto and Bombay (with stops in Montreal and London). 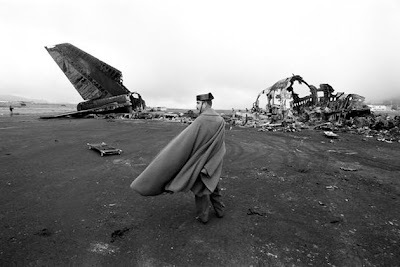 The airplane fell into the sea east of Ireland killing 329. Investigators in Canada cited shortcomings in baggage screening procedures, screening equipment, and employee training. A second bomb, intended to blow up another Air India 747 on the same day, detonated prematurely in a luggage facility in Tokyo before being loaded aboard. 6. August 19, 1980. A Saudia L-1011 bound for Karachi returns to Riyadh, Saudi Arabia, following an in-flight fire that broke out just after departure. For reasons never understood, the crew takes its time after a safe touchdown and rolls to the far end of the runway before finally stopping. No evacuation is commenced, and the airplane then sits with its engines running for more than three minutes. Before any doors can be opened by the inadequately-equipped rescue workers at Riyadh, all 301 people on the widebody die as the passenger cabin is consumed by a flash-fire. 7. July 3, 1988. An Airbus A300 operated by Iran Air is shot down over the Straits of Hormuz by the US Navy destroyer Vincennes. The crew of the Vincennes, distracted by an ongoing gunbattle, mistakes the A300 for a hostile military aircraft and destroys it with two surface-to-air missiles. None of the 290 occupants survived. 8. May 25, 1979. As an American Airlines DC-10 lifts from the runway at Chicago’s O’Hare airport, an engine detaches and seriously damages a wing. Before its crew can make sense of the situation, the airplane rolls 90 degrees and disintegrates in a huge fireball about a mile beyond the runway. With 273 fatalities, this remains the worst-ever crash on US soil. Both the engine pylon design and airline maintenance procedures were faulted by NTSB investigators, and all DC-10s were temporarily grounded. 9. December 21, 1988. Two Libyan agents are later held responsible (one is convicted) for planting a bomb aboard Pan American flight 103, which blows up in the night sky over Lockerbie, Scotland killing 270 people, including 11 on the ground. Hey Mata, this is a very interesting list. I had no idea that there were so many huge crashes. I would have also thought that September 11th would have made this list since it was basically 4 plane crashes. Feel free to post his on our site www.toptentopten.com, the cool feature is that people can vote on which crash they think is the worst. WOWWWWWW!!!!!!!!! I feel sorry for all the people involved in those accidents!!!!!!!!!!!!! I have no words, i normally watch National geographic, and i totally understand if some people fear flying. @ Sagar Vinod, You should take out life insurence when you go for a car drive. come on...9/11 was on purpose, a so called terrorist act which was directed by americans!! building next to the WTC was evacuated 1h before the crash!and that was FBI/CIA headquarters for some sh***. regarding that, i dont know what people expect, u go to their countries, killing inosent women and kids, and u expect that noone will punish you? So wait - it was either a terrorist attack done by Americans, or it was done by someone from another country, like Libya or Egpyt. The systems expressed in this article going to build movement at you claim site are truly decent, a debt of gratitude is in order for such lovely post.